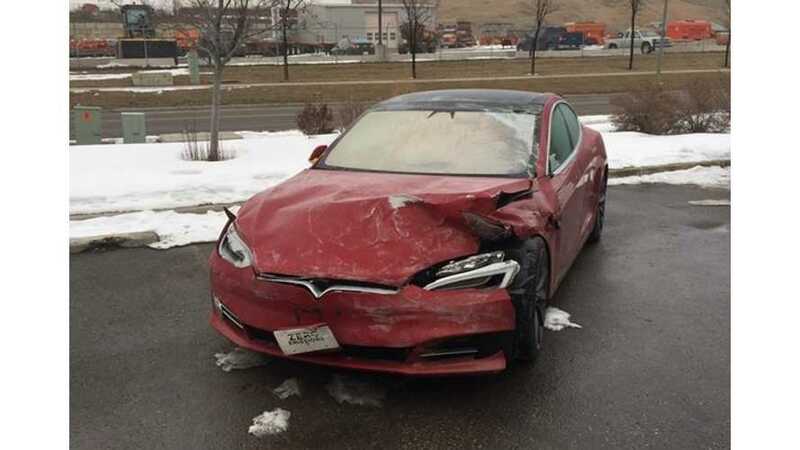 In Calgary, Canada, an overnight test drive of a Tesla Model S P100D ended with a bang...literally. 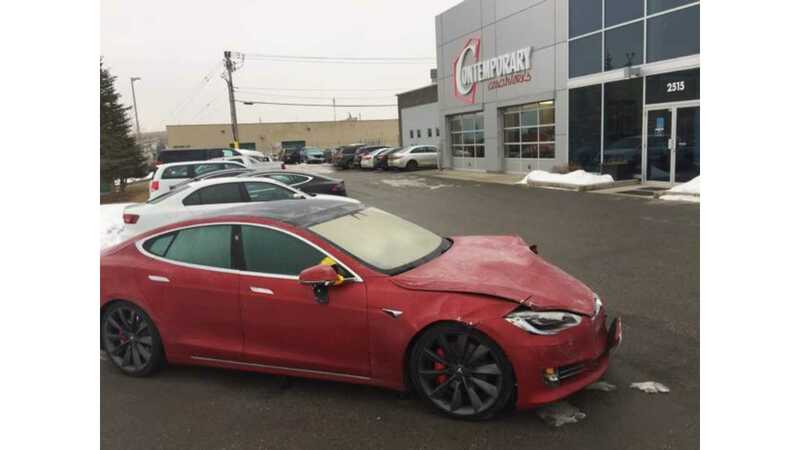 Contemporary Coachworks, the body shop responsible for repairing this banged-up Model S, says that the driver of the car lost control and struck a guard rail. Speed at the time of the incident is unknown. There were no reported injuries. These overnight test drives aren't all that common for high-end Teslas. In fact, it's up to each store manager to decide whether or not to offer up a Tesla for longer term drives such as the overnighter. An application must be filled out in advance too. It's unfortunate that this test drive ended badly, but there's always a risk associated with lending out a car longer term and we're sure that risk increases when the vehicle lent is the quickest production car in the world.